Calling all multi-taskers, this base coat is your new BFF! 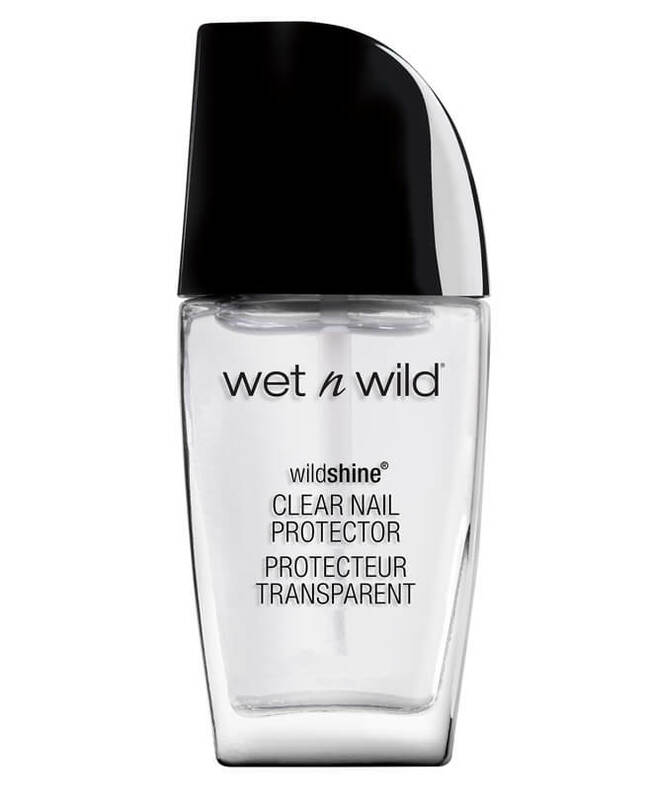 The 10-in-1 treatment does it all Bright-ens, strengthens, conceals, moisturizes, protects, fills ridges, smoothes, primes, perfects and improves the wear of your nail color. Now that’s a base coat with benefits. Butyl Acetate, Ethyl Acetate, Nitrocellulose, Tosylamide/Epoxy Resin, Acetyl Tributyl Citrate, Isopropyl Alcohol, Stearalkonium Hectorite, Benzophenone-1, Citric Acid, Persea Gratissima (Avocado) Oil, Bambusa Vulgaris Extract, Gold, Calcium Pantothenate, Silk Powder, Diamond Powder, Melaleuca Alternifolia (Tea Tree) Leaf Oil, Nylon-12, Glycidoxypropyl Trimethoxysilane, Water/Eau, Propylene Glycol, Cetyl Palmitate, Caprylic/Capric Triglyceride, Cyclomethicone, Hydrolyzed Keratin, Polysorbate 80, Sorbitan Stearate, Tocopheryl Acetate, Dimethicone, Arginine, Lecithin, Sodium Benzoate, BHT, Yellow 5/CI 19140, Iron Oxides/CI77491, Titanium Dioxide/CI 77891.